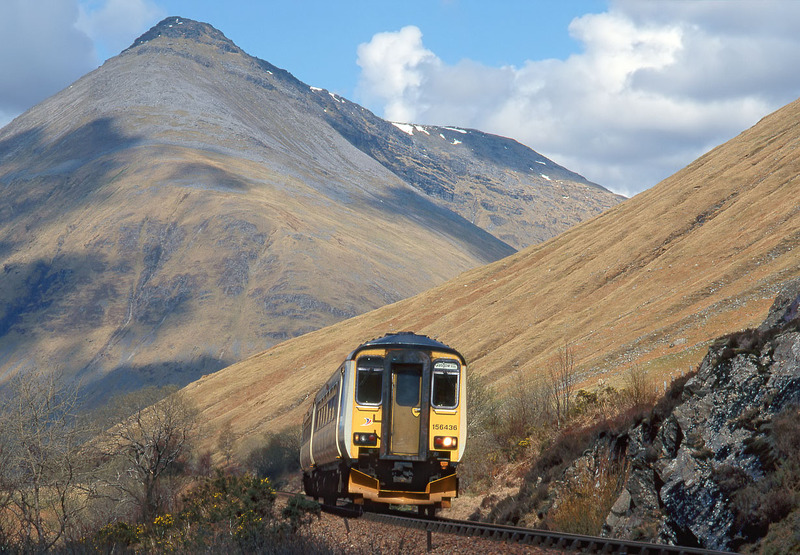 With Beinn Dorian forming an impressive backdrop, 156436 climbs towards County March Summit with the 10:30 Mallaig to Glasgow Queen Street ScotRail service on 28 April 1998. A two coach unit can look a little insignificant in a normal landscape setting, but in this case the head on angle of view and low viewpoint with the mountain towering over the central positioned train create a really impressive composition. Also for once the fleeting Scottish sun was out at the critical moment!